How the Burmese food scene has changed. I used to have a Burmese staff in my first job, and he and I used to be very close. 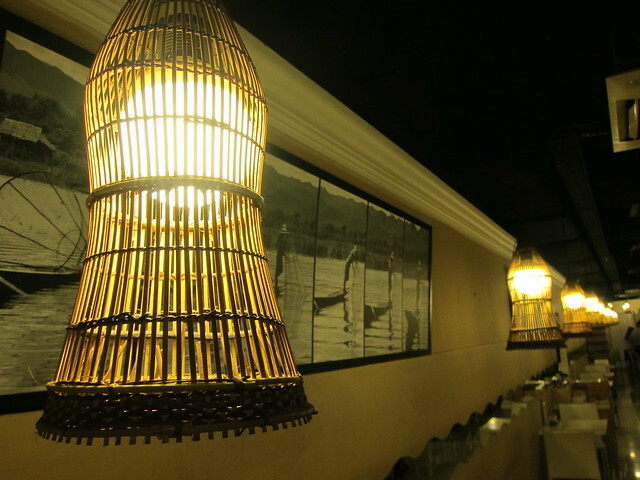 Often after work we will go out together, and one of our favourite Burmese food haunt is the Inle Myanmar Restaurant, located at the basement of Peninsula Plaza, in City Hall Singapore. Back then, Inle is probably the only place in Singapore for you to get Burmese food. But as I returned to Peninsula during my recent trip back to Singapore, I was shocked. Not only that Inle has expanded tremendously, easily covering two shop lots, but the large shops next to it has been developed into Burmese food heaven, with multiple stalls selling Burmese food and Myanmar (the way you call people of Myanmar, and not Burmese) are gathered. It was like a little Myanmar in Singapore. About time, I’ll say. They were certainly plenty of them in Singapore before, I am sure they are even more now, and every community needs “a place to call home”.